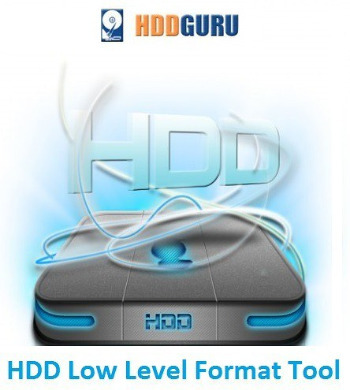 HDD Low Level Format Tool portable is a utility for low-level hard disk drive formatting. It can erase and Low-Level Format a SATA, IDE, SAS, SCSI or SSD hard disk drive. Will also work with any USB and FIREWIRE external drive enclosures as well as SD, MMC, MemoryStick and CompactFlash media. Low Level Formatting refers to the true process of disk formatting operation. It builds the physical format by assigning the location where the data is kept on the disk. The HDD Low Level Format Tool is an application that does or at least comes close to doing this particular thing. The real Low Level Format is done in the factory, while tools such as this one only do zero-fills. In fact, HDD Low Level Format Tool re-initializes the hard drive to its factory configuration by writing a zero byte to its each and every location on the disk. This fully and irreversibly erases all data (if present) from your disk. The main reason to do this is the attempt to revitalize your infected or corrupted hard drive. Low Level Formatting also hides the bad sectors in order to create a clean and error-free surface for your data. The interface of the application is quite basic and simple. It provides details of the selected device such as model, firmware revision, serial number or buffer size as well as physical parameters, security or queuing features. For drives supporting S.M.A.R.T. technology, you will get info on ‘read error rate’, ‘spin up time’, ‘power-on time’ or ‘power cycles’. Hardware temperature can also be checked in this particular section. HDD Low Level Format Tool is able to work with numerous devices, including flash cards, presuming you already have a card reader, as well as with USB and Firewire drives. It supports most hard disk manufacturers such as Western Digital, Seagate, Hitachi, Maxtor, Samsung, IBM, Toshiba or Quantum. Being limited to just 50 MB/s, it might take a while for the process to finish, so it takes approximately 12 hours for a 2 TB drive to be processed. However, you need to make sure the target device is first plugged in, because the application isn’t able to automatically detect new drives, nor is it fitted with a refresh option. The bottom line is that HDD Low Level Format Tool is the application to use in case you experience constant data corruption, virus intrusion within the MBR or bad sectors. It can surely get your malfunctioning drive up and running yet again as long as the encountered problems have nothing to do with its mechanical integrity.